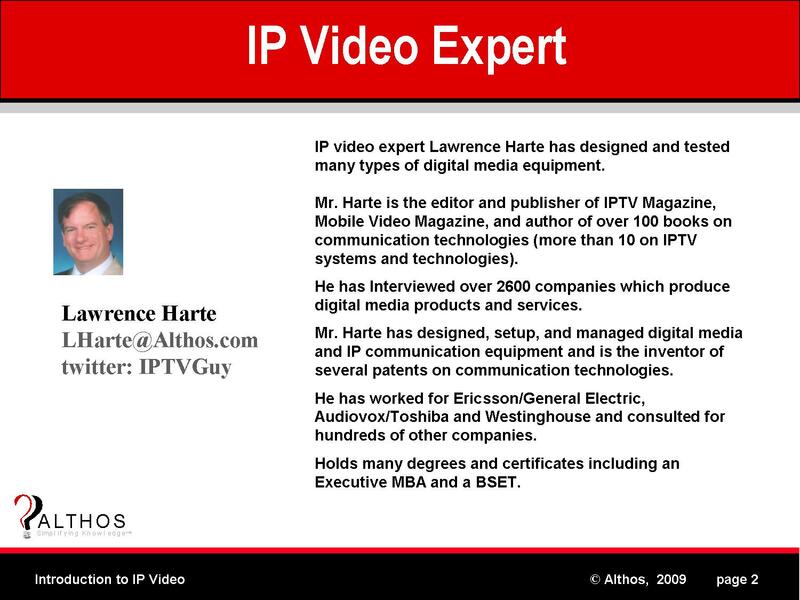 IP video expert Lawrence Harte has designed and tested many types of digital media equipment. Mr. Harte has designed, setup, and managed digital media and IP communication equipment and is an inventor of several patents on communication technologies. Holds many degrees and certificates including an Executive MBA from Wake Forest University and a BSET for the University of the State of New York.